$94,950 ORIGINAL STICKER! CLEAN CARFAX! LOW MILES! FLORIDA CAR! LOADED WITH OPTIONS! WARRANTY! WE CAN DELIVER THIS BMW 750I X-DRIVE TO ANY DRIVEWAY IN THE COUNTRY! VISIT OUR WEBSITE AT WWW.SHOPRIGHTCHOICE.COM TO SEE 97 PHOTOS, THE FREE CARFAX, AND MORE INFO ON THIS SPECTACULAR DEAL! 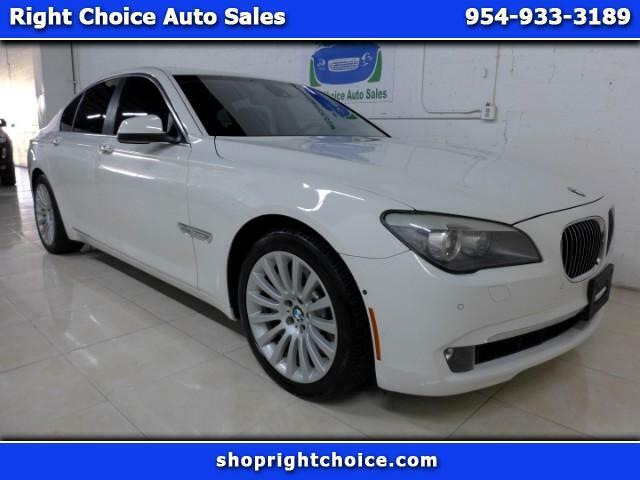 THIS 750I X-DRIVE IS LOADED WITH OPTIONS, HAS A CLEAN (NO ACCIDENTS) CARFAX, IS A FLORIDA CAR, AND IS PRICED TO BE THE BEST DEAL IN THE COUNTRY! THOUSANDS $$$ UNDER KBB AND CARFAX VALUES! DON'T MISS THIS DEAL! Message: Thought you might be interested in this 2012 BMW 750i xDrive.